To develop good electrical engineers with best technical and creative skills who can serve the society and nation in the best possible ways. 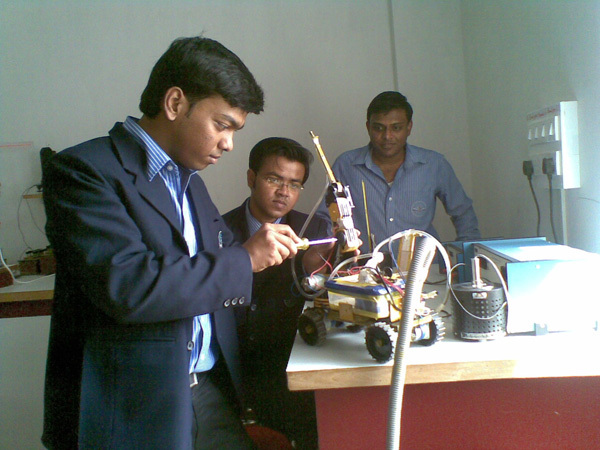 To provide quality education focused on the application of concepts, analysis and design in varied areas of Electrical Engineering discipline based on the latest trends in technology and engineering practice. To cultivate the spirit of entrepreneurship and establish the connection between engineering and business that encourages technology commercialization in the local community and global industry. To engage the student and faculty in multidisciplinary research, innovation and scholarly activities that encourage them towards advanced learning and expands the knowledge base to support the economic development and global competitiveness of the local community and the nation.